Era Organics’ recently launched product Oasis Super Hydrated Moisturizer is steadily emerging as a popular product in the world’s most trusted online shopping platform. This robust formulation provides a combination of several proven natural ingredients such as Aloe Vera, Manuka Honey, Coconut Oil, Jojoba Oil, Avocado Oil, Jasemine Oil, and many more. Jan 23, 2019 – More and more Amazon buyers are now putting their trust on Era Organics’ Oasis Extra Hydrating Face Moisturizer for achieving healthy, strong, and balanced skin. This non-greasy, day and night face cream makes the skin more beautiful by feeding all the necessary vitamins, minerals amino acids and enzymes. 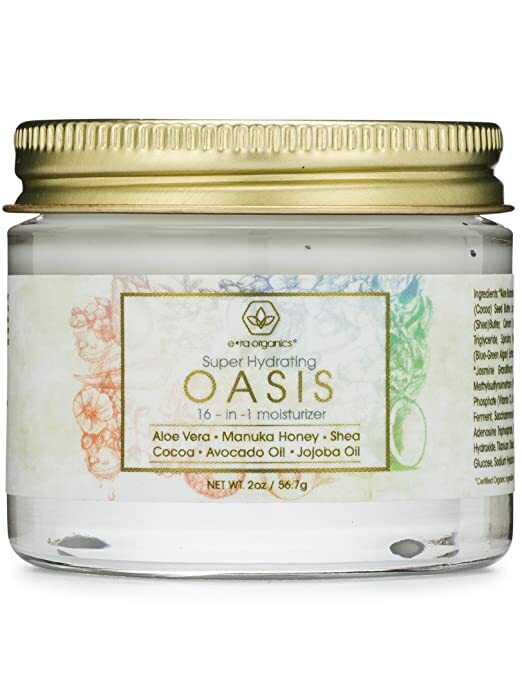 The product has already received well over four hundred Amazon reviews, mostly from the product’s delighted users.Oasis Super Hydrated Moisturizer is suitable for dry, sensitive, as well as irritated skin. Owing to their lifestyle and food habits, millions of men and women around the world suffer from different symptoms of premature agingsuch as wrinkles,fine lines, blemishes, etc. Unlike most of the skincare products loaded with harmful chemicals, Oasis has been manufactured using powerful ingredients that are scientifically proven to fight acne, wrinkles and other common skin problems. The most important ingredients of the product include Aloe Vera, Manuka Honey, Cocoa Butter, Avocado Oil, Jojoba Oil and Olive Oil. “This is a really nice natural face cream. Good list of whole ingredients that I can feel good about putting on my skin. I have used it on my face, hands and on my kids. The smell is not perfumey. It smells very light and like the natural ingredients that it is made out of. A little goes a long way so I happy with the size of the jar. It is not greasy but does make my skin feel good and look nice. I feel good about using this face cream and it is good at conditioning my dry skin especially in winter,” a delighted user mentioned. Era is a family owned and operated company with all products being manufactured in the USA. After dealing with multiple physical conditions, the family decided to change their lifestyle, first with education and then with the application. A large amount of research and study lead them to follow an organic, toxic free lifestyle. They want to share that lifestyle through the products of unequalled quality.